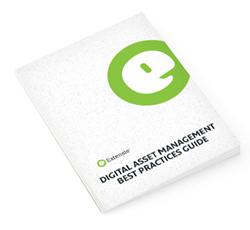 Today Extensis released a Digital Asset Management Best Practices Guide, designed for companies at various stages of digital asset management implementation. The guide is filled with real-world samples, with tools including an ROI Calculator and Metadata Planning Tool. To download the new DAM Practices Guide, visit URL. With the explosion of digital assets and media over the past decade, companies across the globe are facing an increasing issue with how to keep them organised, accessible and everyone using the right versions. Inefficiencies are growing, with companies losing time and money trying to locate files. Portfolio ensures users have immediate access to the correct files in the desired format in a central location. It is the only digital asset management solution that is affordable, simple to use, can be setup within a day, and provides everything organisations need to get started right out of the box. As a standards-based platform that works with other systems and existing workflows, Portfolio provides a single place to for teams to locate important files with consistent metadata information using a web browser or Mac and Windows desktop applications. Portfolio is ideal for anyone with large collections of images, videos, and marketing collateral.